The Long Range Planning Committee and consultants Perkins Eastman and BFJ Planning discuss alternative options for town hall. The three main options for include rehabilitating the main building while demolishing and expanding the rear; building a new Town Hall in the Park Street lot; and building a new Town Hall in the Center School lot. Each option also has two additional parking proposals including underground options. Concerns brought up at the meeting included no net loss of parking, no driveway connection between the Red Cross building and Vine Cottage, keeping the Seminary Street extension and adding a new sidewalk, moving the stone wall on the extension 10 feet north to the Vine Cottage property, avoiding a shut down of Maple Avenue unless the library expands in place and having parking lot connection opportunities. The consultants hope to use these concerns as a guideline of sorts. Town Hall has 28,130 square feet of space, but only around 18,000 square feet are used efficiently according to the consultants. Option one proposes a demolition of the auditorium and rear portion of the building, about 10,000 square feet, in order to renovate nearly 14,000 square feet and making the total size of the renovated structure 34,000 square feet. This option, however, would limit parking spaces behind Town Hall bringing the number of spaces down from 64 to 20. In that scenario, consultants suggested that 57 town employees could park at the Locust Avenue lot, which could potentially become a tiered lot. Another option with the renovation of the building suggests underground parking with 65 proposed spots, though it would be a more costly endeavor the consultants said. Option two considers relocating Town Hall to the Park Street Lot while also demolishing 10,000 square feet of the existing building in the rear. The new building would also be 34,000 square feet and have space for 139 total spaces, including 59 proposed spots at the lumberyard. The underground option there would include 219 total spots. Option three proposes a move to the Center School lot while again demolishing 10,000 square feet of the existing building in the rear. The new structure, like the other options, would be 34,000 square feet with 164 parking spaces including the current building's parking spaces. The underground option provides for 232 spaces. LRPC Chairman Christine Wagner and the committee seemed generally averse to underground parking but asked the consultants to look into option one and three with the possibility of tiered parking independently of those options at the Locus and Center lots. The consultants will look into more specific cost estimations with those options, along with other facilities, in time for a public session or design charrette in October. Residents had a chance to sound off on parking, specifically on the lumberyard lot, and how the grant proposal for a senior housing development, which recently went before the Town Council, affects the LRPC. 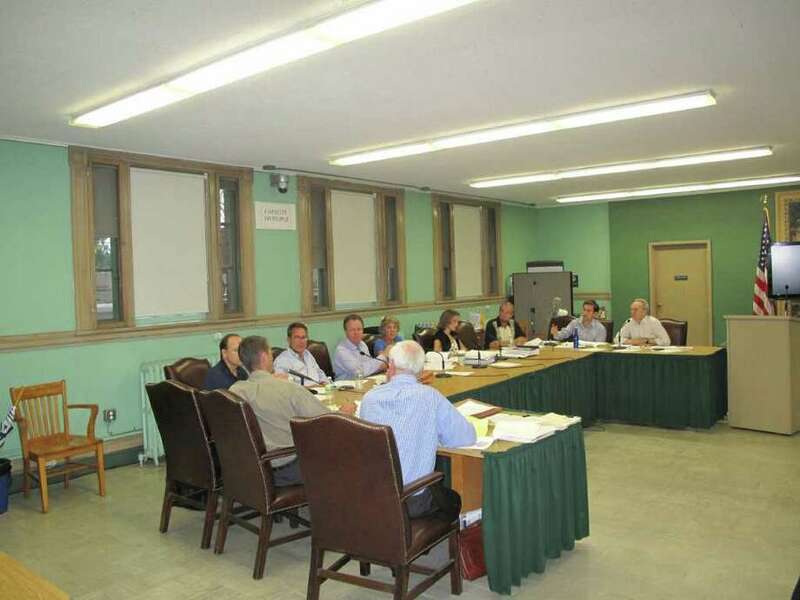 "Does (the Lumberyard grant proposal) potentially throw another dimension into your committee's mission now that this document is in the hands of the state of Connecticut, even thought it is only an application and it still has to be approved by the town council?" Fred Chang asked the committee. "I believe it is imperative for all members of your committee to become thoroughly aware of that document." Chang also believes that New Canaan does not necessarily have a conventional parking problem. "New Canaan does not have a parking availability problem per say. Rather, New Canaan's problem is with parking management as well as a parking attitude problem where some people or many people are not willing, ie: too lazy to drive around a little bit on Elm Street, Main Street and the surrounding streets to find parking." Resident George Cody advised the committee to look at the major long-term impact of everything as opposed to the cost impacts of saving a few parking spaces here and there. "This town hall was built in 1912 and has served the town for 100 years. I think that this committee would do well to think in terms of the future," Cody said. "I think you have to look down the road." The LRPC is next expected to meet Sept. 1 to discuss other facility alternatives.